The threat from ransomware and targeted attacks is real and it’s much more than just a PC problem. One important part of being resilient to ransomware is the ability to recover from backups, but what if your backups have also been wiped out? 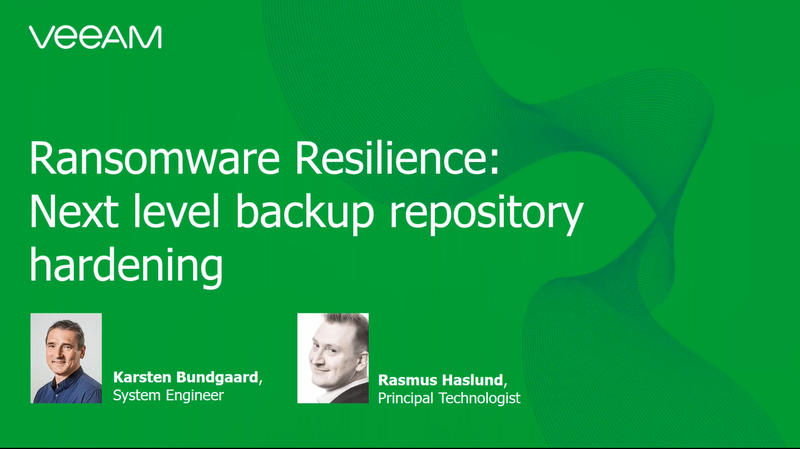 In this session, you will learn the best security practices for protecting your Veeam® backup repository. Additionally, we will show you new features from Microsoft that can take hardening your Veeam backup repository to the next level. What are credential best practices? How do I avoid User Account Control issues without disabling UAC? What are recommended firewall rules?